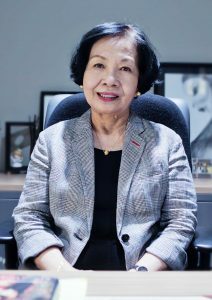 DLSU’s first woman and lay President, now Chancellor Emeritus, Dr. Carmelita Quebengco AFSC marked another milestone in her career and in the University’s history as she was conferred an honorary doctorate by St. Mary’s College of California during its Academic Convocation in the first quarter of 2018. The first woman honoree of St. Mary’s College Academic Convocation, Quebengco was conferred the degree Doctor of Education in Educational Leadership, honoris causa. It is her second honorary degree; she received her first honorary doctorate in Educational Leadership and Management in 2010 from St. Mary’s University in Minnesota, USA. She was recognized for her pioneering work and leadership in education, specifically at De La Salle College of Saint Benilde (DLS-CSB) where she served as founding Dean; the various innovations she introduced at DLS-CSB and DLSU; and her establishment of a culturally appropriate school for Mangyan children in the uplands of Southern Mindoro. 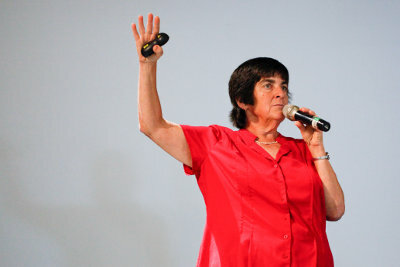 Furthermore, she was cited for her work at the Pacific Asia Regional Conference of the Lasallian Institute as well as the Lasallian Education Mission Office of the Christian Brothers Institute in Rome, where she is one of only two first lay women Lasallian Partners appointed by the Superior General to a leadership post. 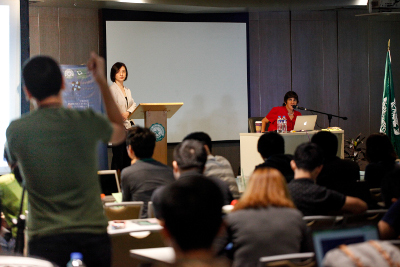 In her speech, Quebengco shared lessons from her experience as a Lasallian teacher, researcher, and administrator. A University Fellow who has risen from the ranks, she spoke of the various challenges that she faced, such as the time she was still a teacher at La Salle Green Hills until she found her vocation, helping the Hanunuo Mangyans, an indigenous tribe in Mindoro and one of the most neglected sectors in the country. She became a DLSU faculty and later administrator assigned to various posts, eventually becoming the first woman Executive Vice President/Chancellor of the University. During her watch as the first lay and woman University President in 2003, DLSU received the highest accreditation level in the Philippines and ranked as the top private university in the country in the THES-QS World University Rankings that year. She currently serves as Senior Consultant to the DLSU President, and likewise holds the position of one of three At-large Trustees of the International Association of La Salle Universities (IALU). There are only two women in the IALU Board. Quebengco is also a Trustee of some 20 schools and universities, national professional organizations, NGOs, and educational accrediting bodies. 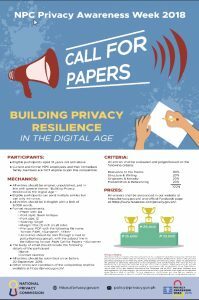 Focusing on the theme “Action Research for Innovations in Education,” the Lasallian Institute for Development and Educational Research (LIDER), together with the DLSU Br. Andrew Gonzalez FSC College of Education hosted the 3rd International Congress on Action Research, Action Learning (ARAL 2018) last May 24-26 at the Henry Sy, Sr. Hall. A pre-congress intensive lecture workshop was held on May 23 to orient researchers on the process of producing a clear Action Research Plan, from conceptualization of topics, brainstorming, and writing of the AR plan, to the presentation of output and critiquing of outputs by experts. ARAL 2018 was formally opened on May 24, with DLSU President Br. Raymundo Suplido FSC delivering the welcome remarks. The keynote lecture entitled, “Conducting Research, Dissemination of Knowledge and Building a Career: A Discussion from Different Perspectives,” was delivered by Prof. LO Sing Kai of the Education University of Hong Kong. The workshop series touched on action research in the fields of math, science, languages, educational technology, and educational leadership. Speakers for the lecture seminars, aside from Williams, were: Dr. Mary Brydon-Miller, also from the University of Louisville ; Dr. Mimi Rojo-Laurilla, program coordinator of Speakers Bank and Innovative Business Programs of Annecto Inc. in Australia; Dr. Jerome Ouano, an Educational Psychology specialist; and Dr. Sterling Plata, an advocate of assessment reform for a growth mindset. At the 20th International Conference on Soil Mechanics and Geotechnical Engineering (ICSMGE 2018) held in Osaka, Japan last March 29 to 30, Engr. Erica Elice S. Uy was awarded “Best Presentation” for her paper entitled “Full-Field Estimation of Cyclic Threshold Shear Strain.” Engr. Uy is a PhD student of the Civil Engineering department and a scholar of the Engineering Research and Development for Technology (ERDT). She is currently at Nagoya University for her Sandwich Program which is also funded by the ERDT. 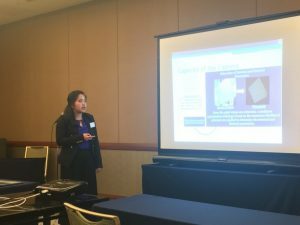 The paper is co-authored by her adviser Dr. Jonathan R. Dungca, Civil Engineering Department and Sandwich Program supervisors Dr. Toshihiro Noda and Dr. Kentaro Nakai, Geotechnical Engineering Division Graduate School of Civil and Environmental Engineering of Nagoya University Geotechnical Engineering. The ICSMGE aims to bring together leading academic scientists, researchers and research scholars to exchange and share their experiences and research results on all aspects of Soil Mechanics and Geotechnical Engineering. It also provides a premier interdisciplinary platform for researchers, practitioners and educators to present and discuss the most recent innovations, trends, and concerns as well as practical challenges encountered and solutions adopted in the fields of Soil Mechanics and Geotechnical Engineering. 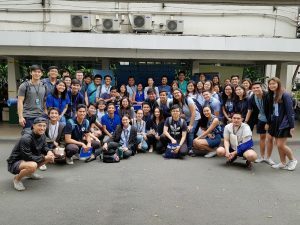 Last March 22-23, 2018, the first World Water Day (WWD), with the theme “Answer is in Nature; Nature for Water”, was held in De La Salle University-Manila. It was organized by the Civil Engineering Department – Hydraulics and Water Resources Engineering Division and the Civil Engineering Society. World Water Day is sponsored by Healthy Family Purified Water which is an advocacy by Manila Water Total Solutions. By celebrating World Water Day, the organizers promoted sustainability and awareness regarding the emerging technologies in water resources engineering and how nature is the solution to water-related problems. On the first day of the celebration of the World Water Day, a ribbon cutting ceremony was held in Velasco Bench 3 to officially open the booth. 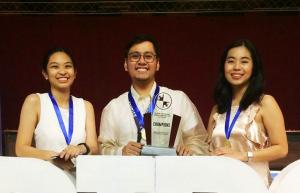 The Gokongwei College of Engineering Dean, Dr. Jonathan Rivera Dungca, the Vice Chairperson of Civil Engineering Department, Dr. Mario De Leon, alongside Dr. Marla Maniquiz-Redillas, Engr. Richard De Jesus, Engr. Joenel Galupino, Engr. Maria Emilia Sevilla, Engr. Paolo Ian Lucero, and Engr. Miller Cutora were present during the opening ceremony of the booth. The booth design itself revolved around the theme, where numerous civil engineering students, and professors were wearing blue and were seen participating in the booth activities. After the ribbon cutting, videos about water resources from UNICEF and civil engineering students who took CIVWARE in the previous term were shown to the audience. Free bottled water were also distributed to students who posted photos or selfies online using WWD’s official hashtags. A seminar on the second day of the World Water Day celebration was held in the Don Enrique T. Yuchengco Hall of DLSU-Manila. Civil Engineering students especially students taking up water-related subjects and students specializing in Hydraulics and Water Resources Engineering actively participated in the discussion during the seminar. The invited speakers, Engr. Trevor Morrish-Hale from Royal HaskoningDHV, Engr. Anya Arguelles from CH2M, and Dr. Renan Tanhueco from the CE Department, each talked about their research and experiences in the water industry field. Engr. Morrish-Hale, discussed the technologies behind land reclamation. He started the talk by asking the audience about what they know about the sea level rise, and expounded on the process behind reclamation and the challenges that can be encountered when conducting it. Dr. Tanhueco, on the other hand, shared his case study in partnership with other researchers who were also faculty members in DLSU, perceptions towards the use of eco-toilets in rural or low communities. The benefits of using eco-toilets, such as water conservation, nutrient supplementation for plants, and refined sanitation, were emphasized during his talk. The third and last speaker, Engr. Arguelles talked about the treatment of wastes, specifically industrial wastes. A CELEBRATION of art and life, Betsy Westendorp is a two-volume coffee-table book that was launched last Thursday, February 22 at the Metropolitan Museum of Manila. It presents the extraordinary range of the world-renowned painter, who remains a dynamic force of the cultural scene at the golden age of ninety! Her paintings are timeless classics. 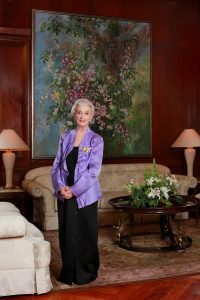 A citizen of Spain and the Philippines, Betsy Westendorp has received prestigious awards from both countries. In 1976, His Majesty King Juan Carlos I of Spain bestowed on her the distinguished Lazo de Dama de la Orden de Isabel la Catolica, the equivalent of knighthood for ladies. In 2008 during the term of Former President Gloria Macapagal-Arroyo, she was awarded the Presidential Medal of Merit for Art and Culture. Published by the De La Salle University Publishing House, the book was lavishly created by Filipino art critic Cid Reyes and Spanish graphic designer Iñigo Cerdan. It is unique in its inclusion of the Spanish text by the famed Spanish art critic Elena Florez, who wrote an expansive and eloquent critique of the artist’s works. It was translated by the artist’s daughter Isabel Brias Westendorp. De La Salle University Department of Communication, together with Team Communication, will be co-hosting the Cinema Rehiyon Film Festival and Forum of the National Commission for Culture and the Arts (NCCA). As part of the celebration of the National Arts Month this February, the 10th edition of Cinema Rehiyon will be held on February 25-28, 2018 in Metro Manila, with Day 2 (Feb 26) to be held at the Natividad Fajardo Auditorium, Br. Andrew Gonzalez Hall, from 8:30AM to 6:00PM. Dubbed as “Cinema Rehiyon X: One Country. One Cinema. One Future”, the festival aims to be the platform for critical conversations for shaping the future of Philippine Cinema and to highlight the value of cultivating regional cinema and its valuable contributions to the development of national cinema. For four days, the festival will bring together delegates and participants from all over the country for a series of film screenings, forums, workshops, and activities. These are all geared towards supporting the flourishing of regional cinema, the continued development of Filipino filmmakers, and the convergence of stakeholders in fostering the growth of the Philippine Film Industry. The festival is expected to be attended by around 200-300 participants from all over the country and is free of charge. This is an important community engagement endeavor for DLSU as Cinema Rehiyon has served as a crucial springboard of independent film making and regional cinema in the country, one of the thrusts strongly supported by the DLSU Department of Communication. 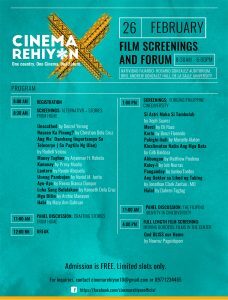 The full festival program is available from Cinema Rehiyon’s Facebook page. Panelists for the forum will include film makers from the region whose films will be screened during the festival, as well as DLSU Department of Communication Faculty and staunch advocates of regional and independent cinema: Prof Clodualdo Del Mundo, Dr. Miguel Rapatan and Mr. Ed Cabagnot. 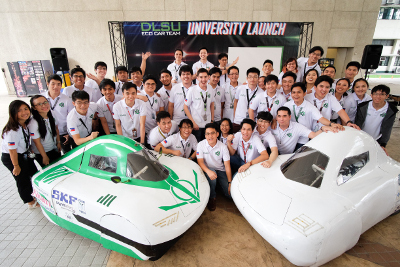 De La Salle University, with support from the Department of Science and Technology – Philippine Council for Industry, Energy, and Emerging Technology Research and Development (DOST-PCIEERD), hosted the dean of Stanford University’s School of Engineering, Prof. Jennifer Widom, who has embarked on the Asian leg of her global advocacy to provide free training on big data, particularly for the youth and women in developing countries. Big data is the systematic analysis of large volumes of data and statistics in order to uncover patterns and correlations that will, in turn, produce usable insights for business managers, policy makers, and other stakeholders. 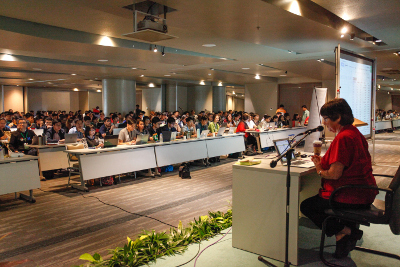 The course was held at the University’s Henry Sy, Sr. Hall last January 23 to 26 to an audience of about 400 senior high school and college students, faculty, and professionals. Prof. Widom is a computer science professor and Massive Open Online Course pioneer and a member of the National Academy of Engineering. She has co-authored four academic textbooks, providing students with a beginning and advanced introduction to database systems. Her books have been utilized at the junior, senior and graduate levels in Computer Science. She capped her DLSU visit with a roundtable discussion on the topic “Women and Technology,” attended by leading women from industry, the academe, and government. Among those who joined her were Senator Risa Hontiveros, consultant for ASEAN University Network and DLSU Society of University Fellows member Dr. Wyona Patalinghug, Department of Science and Technology Assistance Secretary Rowena Cristina Guevarra, as well as administrators and faculty of DLSU, University of the Philippines, University of Santo Tomas, Philippine Science High School, and executives from Accenture, Inc. The discussion focused on inclusivity and equal representation of women in the fields of sciences and technology. It also touched upon the personal experiences of the participants, including how they balance career and family roles.